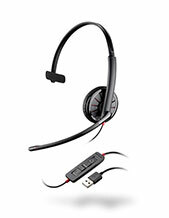 Plantronics EncorePro HW725 Stereo Hardwired USB Headset is a durable and reliable all-day headset that can cater to all types of call handling and management needs of users. Through this device, there is no need for IT help desk, as well as updates, fixes, and adjustments. This headset takes out all the complications that users may experience in some headsets. 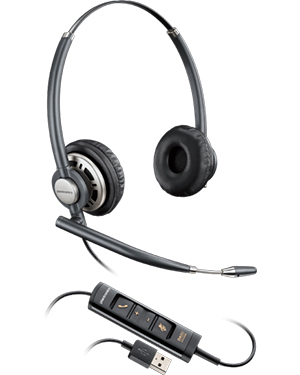 A product of clarity, control, and comfort, the Plantronics EncorePro HW725 Stereo Hardwired USB Headset is able to offer crystal clear conversations with enhanced noise-cancelling microphone and advanced audio processing, remote control on features that include volume adjustments, mute, and call answer/end, then finally all-day comfort with soft ear pads and adjustable microphone boom arm. Interested in this product? Give our company hotline a call through Australia wide 1300 131 133! Headquartered in Santa Cruz, California, Plantronics also operates in China and Mexico, where the company conducts its production and manufacturing process. The entire operation of the company is comprised of approximately 5,000 employed experts worldwide. 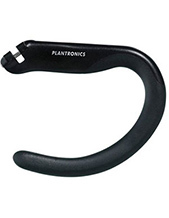 Plantronics has excellently done well for itself since its establishment in the year 1961 considering how the company has now become one of the frontrunners in the industry. It has produced awesome technologies and features through its years of operations, from Bluetooth headsets to gaming headsets. In addition to that, the company has also manufactured speciality devices and applications for people with special needs. Headsetsonline Pty Ltd is an Australian online store that offers wide range of high quality audio and sound products and solutions through its secured website, Headsetsonline.com.au. This site offers customers the chance to check out the products and solutions they need with their own hands from there conveniently, wherever they may be all over the country. More than just convenience, the site also offers security and protection for all the transactions of customers completed through the site. The site has green URL HTTPS address bar, GeoTrust True Business ID with Extended Validation, 256-bit identity authentication, and 2048-bit root encryption, which all help in the site’s security and protective measures. Headsetsonline takes pride in being one of the experts in supplying and wholesaling corded, cordless, Bluetooth, and gaming headsets. 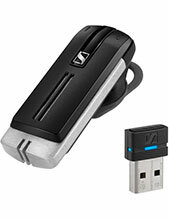 The company also offers wide selection of headphones and speakerphones. The company even offers flat shipping rates Australia-wide, which means that there will be no hidden fees and surprise charges.